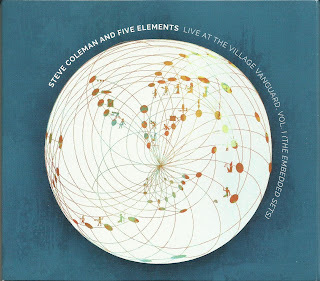 A few weeks ago, Kevin Whitehead reviewed this double-CD live Steve Coleman set on an installment of the NPR show Fresh Air. It served as a nice place to potentially lure some listeners who might dig Coleman's music. (Whitehead also reviewed the Daniel Carter/William Parker/Matthew Shipp CD Seraphic Light a few weeks prior to that, which was a major coup for their unique work.) I broke my cardinal rule of avoiding contact with a critique of something that I planned to review, and I listened to the whole piece. I'm glad I did because by listening to the track excerpts played between Whitehead's comments, the music took on a unique characteristic: It sounded like bebop. Not modern day, retrogressive bop, but first generation bebop - like the kind Charlie Parker did on Dial. And not because Coleman is playing anything like "Scrapple from the Apple" or "Relaxing at Camarillo." (Maybe the fact that he plays alto has something to do with my perception, which came around 11:00 pm, driving home from work.) The similarity came in the way this quintet delivered the music. There was fire in it, and a strong dose of self-assurance, even as they were making their way through all manner of rhythmic shifts, sometimes in direct contrast with one another. Calling Coleman's music rhythmically complex is putting it mildly. But hearing those bits again (I had been listening to the CD at home already), it played up how his melodies are accessible and engaging if one takes the time to really check them out. A fair number of more adventurous jazz musicians have been performing at the Village Vanguard recently, but Coleman and the fabled nightclub go way back. Five Elements has had annual engagements there since 2015. Even before that occurred, Coleman became well acquainted with the Vanguard as a member of the Mel Lewis Orchestra from 1978 to 1980. The band, which initially featured Thad Jones' name in the marquee with Lewis, played there every Monday night, and it continues as the Vanguard Orchestra. Coleman moved to New York at age 21 in part to join that band. The two sets contain virtually the same compositions but set order and combinations of tracks in medleys guarantee that they never seem like a rehash. Of course, Coleman's writing being what it is, there is never any fear of overlap anyway. "Horda," which opens disc one and first appeared on his Morphogenesis album, is built on cyclical riffs where the repeat comes in odd, unexpected places. When trumpeter Jonathan Finlayson joins the saxophonist line, he sounds right at home playing a counterline. While the whole group has an amazing rapport, Sean Rickman's skill at adding choice accents amidst his tempo work is particularly jaw-dropping. Towards the end of "Horda," both horns reach a climax by hitting just one note over a complex rhythm, while the rest of the band swirls around them. In the version on disc two, guitarist Miles Okazaki takes a solo that feels as restrained as the drums and horns sound wild. A series of new compositions were created in a process that Coleman explains as "chains of tonal dyads that are strung together to create certain embedded melodic structures." He titled them using words from the ancient Egyptian writing system usually known as hieroglyphics. Some of the melodies have a bit of a folk-like quality, while a track like "Djw" has a visceral feel more like a progressive rock tune, thanks in part to the driving rhythm section of Okazaki, Rickman and bassist Anthony Tidd. In case anyone might think Coleman's music is too serious, both sets end with stage announcements from the bandleader, who throws a different bon mot in each one as he introduces the band (making doubly sure he doesn't miss anyone). The liner to the cover also features a candid group photo which catches Coleman mid-laugh. Hopefully some Fresh Air listeners took the initiative to find this album since it features some of the most provocative music to come out this year. And the Vol. 1 in the title indicates there's more to come! Contra/Fact originally came out on cassette last fall. This edition commits bassist Matthew Lux's debut as a leader to vinyl, trimming a couple tracks from the original album and changing the running order a bit. Lux has been described as the Kevin Bacon of Chicago, due to his close connection to the Windy City's various music scenes. He could easily play straight or free jazz but his name has appeared on numerous albums by Isotope 217, various Rob Mazurek projects and albums by indie-related artists like Azita, Smog and Iron & Wine. If anything has kept him from leading his own session, it probably relates to a busy calendar. 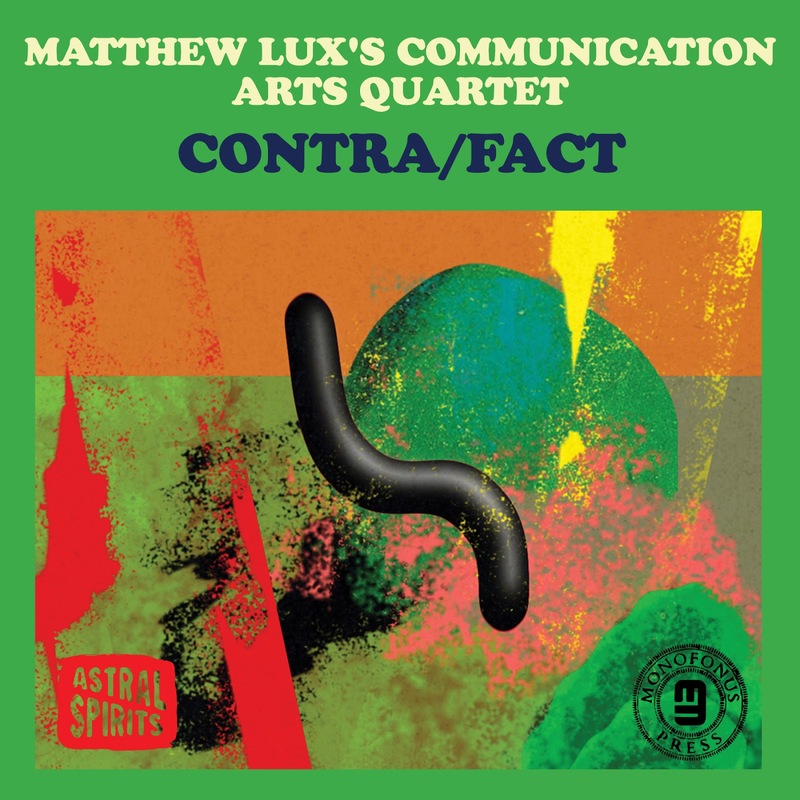 Lux doesn't attempt to make for lost time by putting his instrument front and center on Contra/Fact. In fact, he acts more like a designer, creating scenes for his quartet comrades to flesh out, which he embellishes with effects and editing techniques later. Joining him are Ben Lamar Gay (cornet), Mikel Patrick Avery (drums) and Jayve Montgomery (tenor sax, "clarinumpet," flute). All four of them also add percussion, along with samplers and brief bits of guitars to the mix. The new running order ensures that Contra/Fact never stays in one place for too long, easing from a rhythmic groove to a sample-heavy bit of electro-acoustic noise to a blend of dub and solid horn solos. If the group created everything spontaneously in the studio, they were clearly having a ball by taking raw ideas and seeing where they would lead. However, moments like the harmonized horn line toward the end of "Israels'" indicate that some preparation went into it. The tight groove that Avery and Lux sustain during this track makes it one of the standouts. Earlier in the album, Lux evokes the warmth of Charlie Haden in the rubato "Ninna Nanna," accompanied with Mongomery's smoky tenor and Gay's muted cornet, before everyone starts to move freely and the entire quartet gets bathed in distortion. If the noisier tracks don't hold up quite as well as the rest, they continue to change shape as they proceed. The sounds early in "Mercury Lights" evoke both turntable scratching and car radio transmissions that fade in and out, before buzzing samples overtake it. At 10 minutes, the choppy "C.G.L.W." gets a little long, but it wants to go back to Miles Davis' On the Corner, pondering what remains on that corner all these years later. Considering Matthew Lux's extensive list of credits, it should probably come as no surprise that his own outing would cross several sorts of musical terrain. In this case, the lack of a definite focus works in his favor. Keeping up with Intakt Records feels like an insurmountable effort. While U.S. labels wring their hands and wonder how to sustain themselves, this Swiss label continues to release, on average, two new albums a month. Whereas many labels and promoters have resorted to sending promotion downloads to writers, Intakt, bless their hearts, continues to mail out hard copies of each release across the ocean. The quality of the music is fairly consistent as well. Even with an album that doesn't really move me, I come away at least come away with an appreciation for what the performer was going for, which is a pretty good standard to maintain as well. As far as getting a chance to dig deep into the music and come up with ways to talk about it in depth, therein lies the challenge. It is one of many. With that in mind, I've pulled out a few albums that they've released either this month or sometime within the past six months and decided to focus on them. 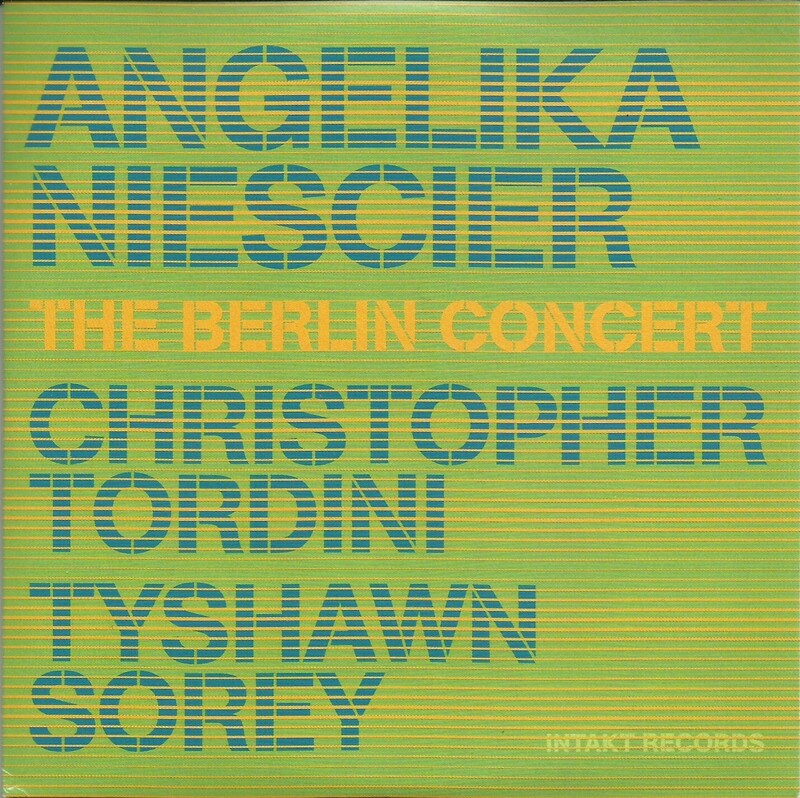 My laptop disc drive listed The Berlin Concert as an EP, an ironic assessment since the four tracks come out to about 40 minutes, the standard length for a vinyl album. But these days, that can be considered short for a jazz album. The communication level between the trio members clearly runs deep. Tordini works as an anchor during "Kundry." Niescier produces fast torrents of notes but she still ends her phrases with a great deal of clarity. While that goes on, Sorey sounds like he's playing countermelodies on his snare. After holding things together, Tordini gets a chance for an unaccompanied solo. 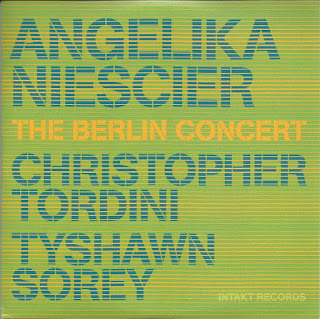 After the bowed bass and alto duet "Like Sheep, Looking Up" (the title a variation on a John Brunner novel about environmental destruction), Niescier almost sounds Monk-like in "The Surge" because of the way she wraps around variations of the melody, except she's moving five times faster than usual. The freest track of the four, its musical ideas come fast and furiously. It confirms a quote from Niescier that opens the liner notes: "All three of us were at peak levels of communication and awareness, and in a state of maximum openness toward the music." Solo instrument albums require some extra commitment from listeners. An album by two drummers/percussionist goes even further. 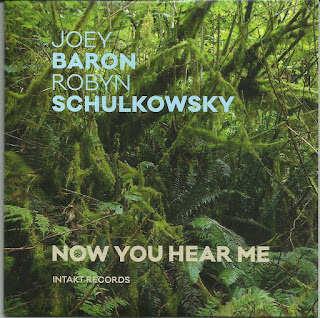 Of course when the prolific Joey Baron (to narrow his c.v. to two names, all you need to know is John Zorn and Carmen McRae) teams up with Robyn Schulkowsky (who has worked with Cage, Xenakis and Feldman to drop just a few avant-garde composers), the program is not going to consist of mere grooves played ad nauseum. The dynamic level on Now You Hear Me doesn't vary too much. But even when a track totals 32 minutes, these two get into some deep sound conversations. Both are credited with only drums and percussion, so it's possible that electronics don't factor into the music. But there are moments during "Passage" when a static noise blends perfectly with the closed snare and toms, sounding like sampling is occurring. Cymbal rolls imitate the surge of a tide or, later in "The Gaze," they approximate feedback. The tuned percussion in the latter track sounds like Harry Partch instruments which, repetitive as they are, create a trance feel. 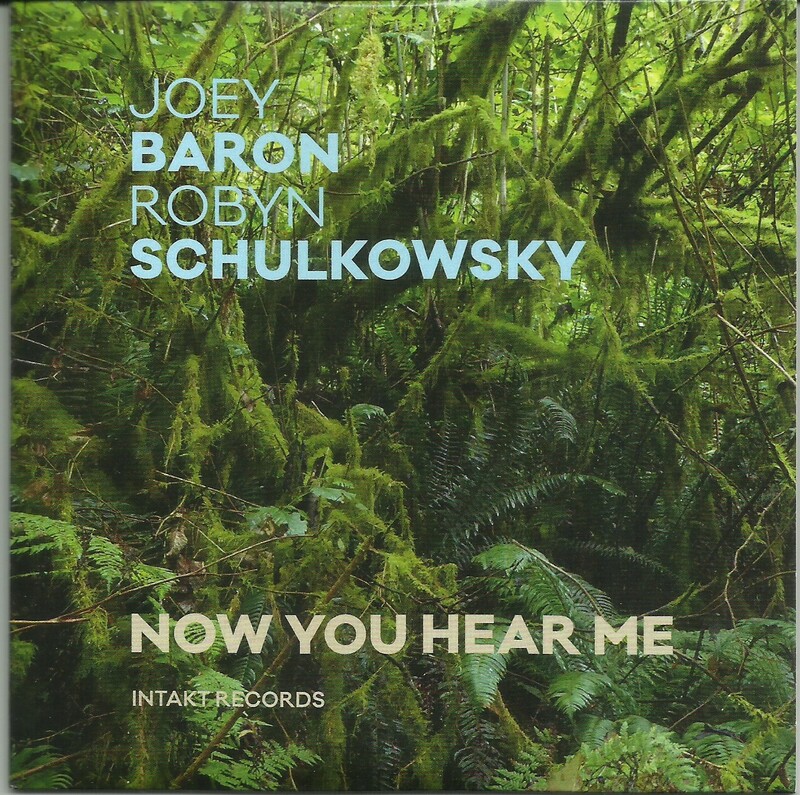 Now Your Hear Me might not be something that's pulled off the shelf often, but Baron and Schulkowsky take some enthralling risks - such as playing on either metal pipes or bells before one of them eases over to the trap kit. With music this spare, it's best to realize how each tap on a drum has a greater significance. The quartet on Noise of Our Time consists of musicians all coming together for the first time although several of them had worked together in different capacities. Ken Vandermark and Nate Wooley have performed extensively as a duo and in the group Shelter. Pianist Sylvie Courvoisier is part of Wooley's Battle Pieces group and has improvised with drummer Tom Rainey. 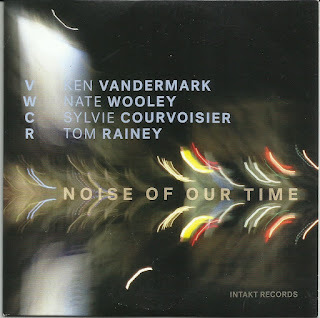 Wooley, Vandermark and Courvoisier each composed three tracks for this album. Each player creates settings that allow their bandmates to reveal their full personality, to the extent that it's often surprising who wrote the tune, considering who leaves the biggest impression. The level of communication between the horns in Courvoisier's "Sparks" is jaw-dropping, as they volley honks and tweets back and forth between each other. The actual composition approximates a Monk theme that has smashed to pieces on the floor, with some remnants still held together by threads. Wooley likes to use pregnant pauses for suspense, which can be heard in both "Truth Through Mass Indivduation" and the tone poem "The Space Between the Teeth." The trumpeter gives off some vicious noise in "VWCR" with some vocal grunts underneath that almost sound violent. After the frenzy that comes with much of the album, it ends on a reflective note with Vandermark's "Simple Cut." This one has the melancholia of a memorial song with a rich texture that also sounds a bit foreboding. It makes an interesting contrast to what preceded it - a unit that is clearly working well together and will hopefully return to the studio again. More info on these albums at the whole Intakt catalog can be found at www.intaktrec.ch.